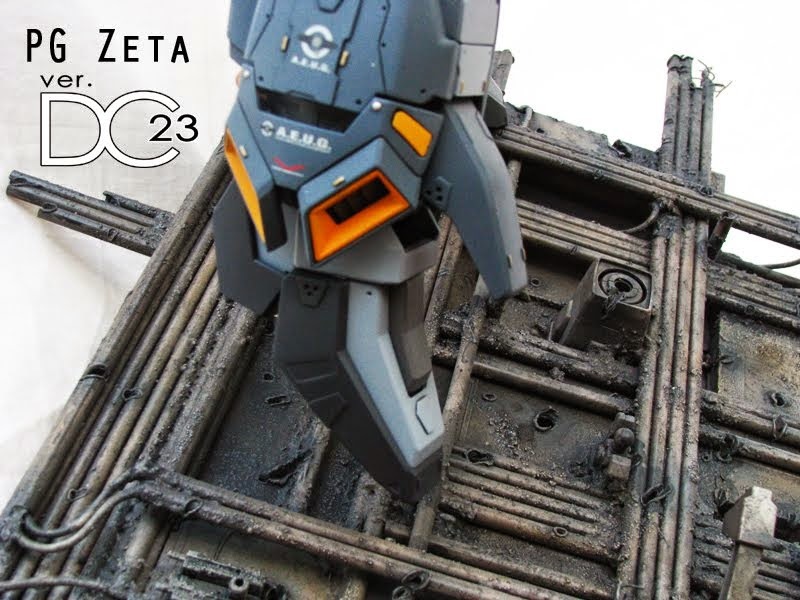 Here's another awesome monstrous build by DC23! 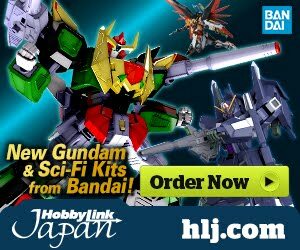 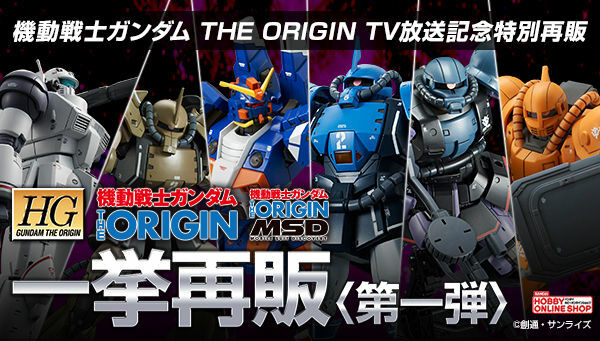 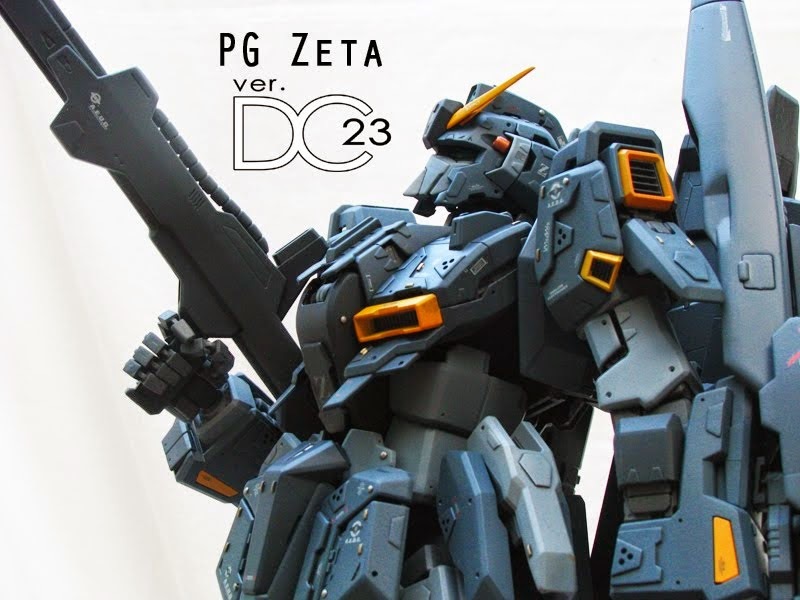 I love his style and the way he approach his model kits. 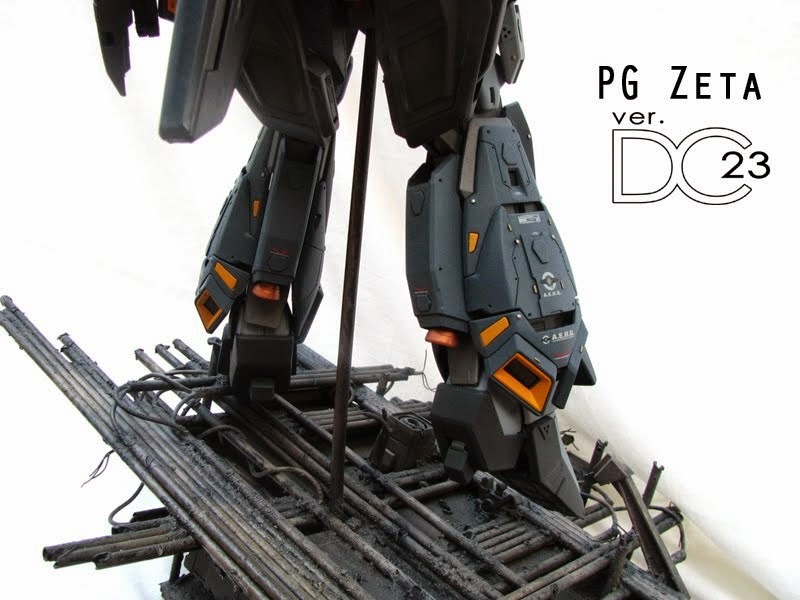 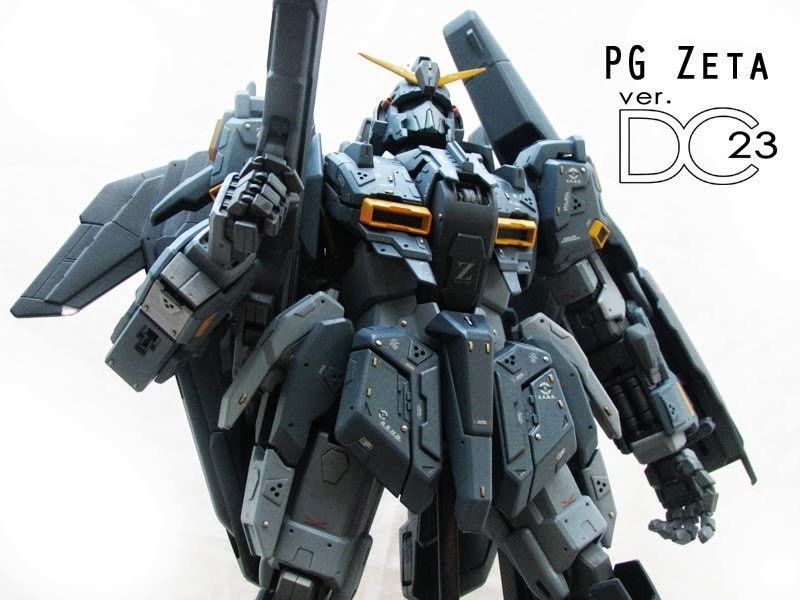 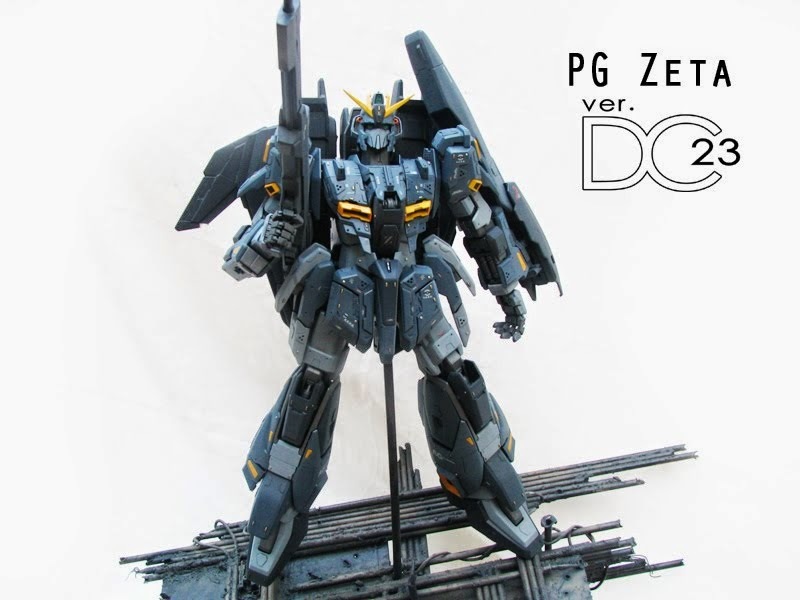 Love how dark this PG Zeta Gundam is. 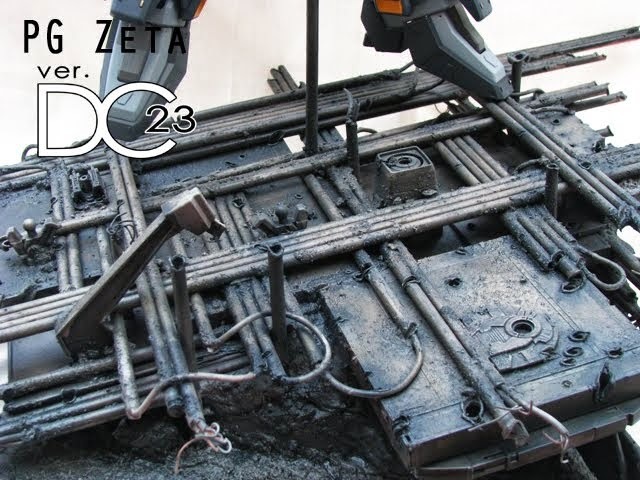 The details and paint job and even the weathering is looking very sharp. 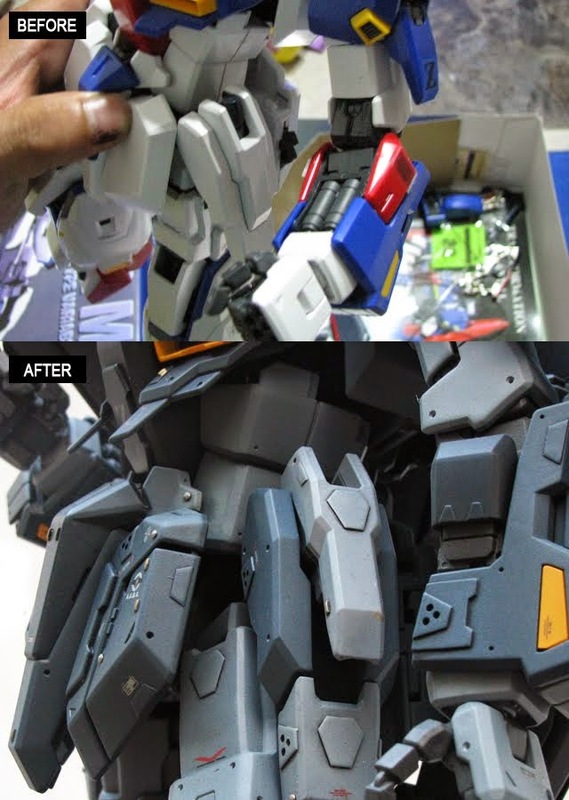 "I finished painting all the parts and assembled this huge kit last Sunday ( February 21 ) and I had a blast assembling and putting all the painted parts together...I decalled the backpack and the gun yesterday and gave this kit its final flat topcoat earlier today. 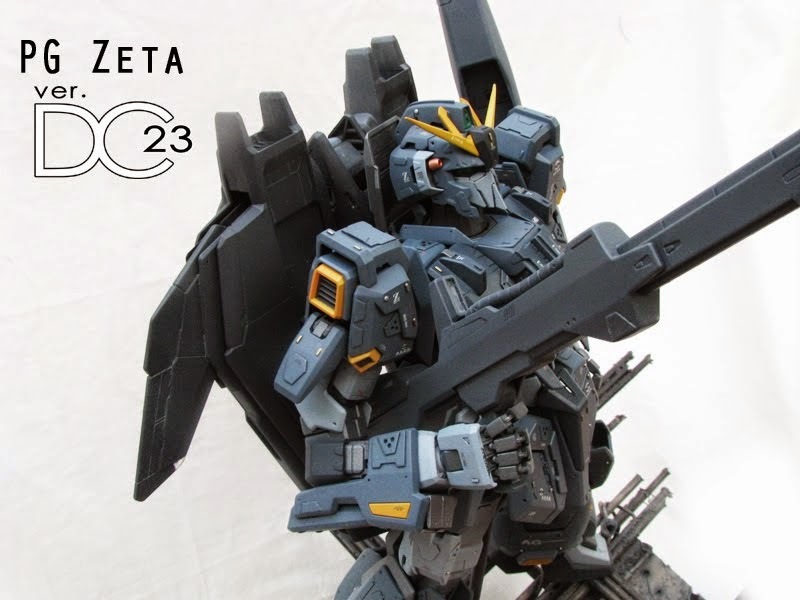 The flat coat revealed all the details and decals added to the kit. 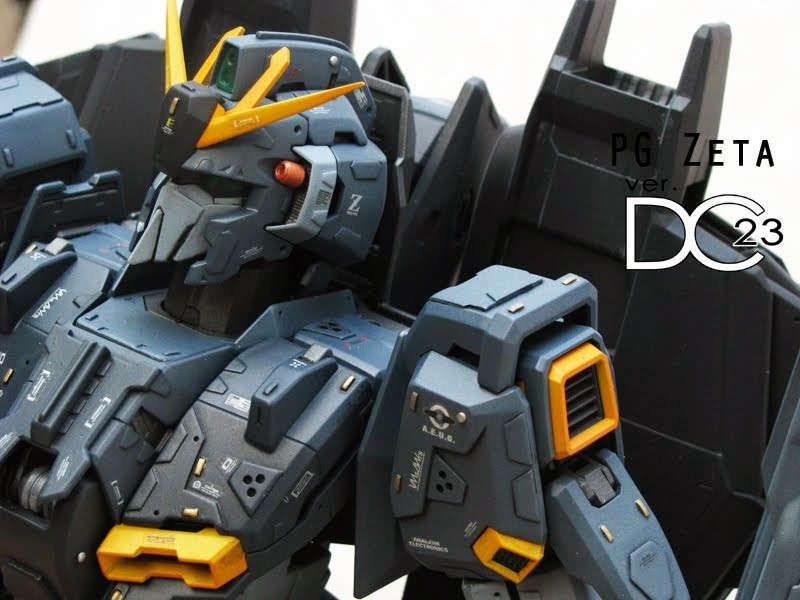 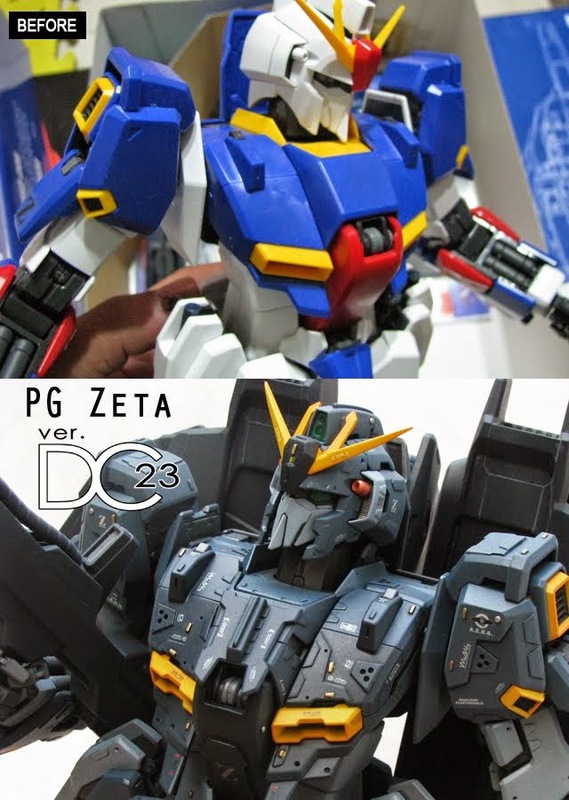 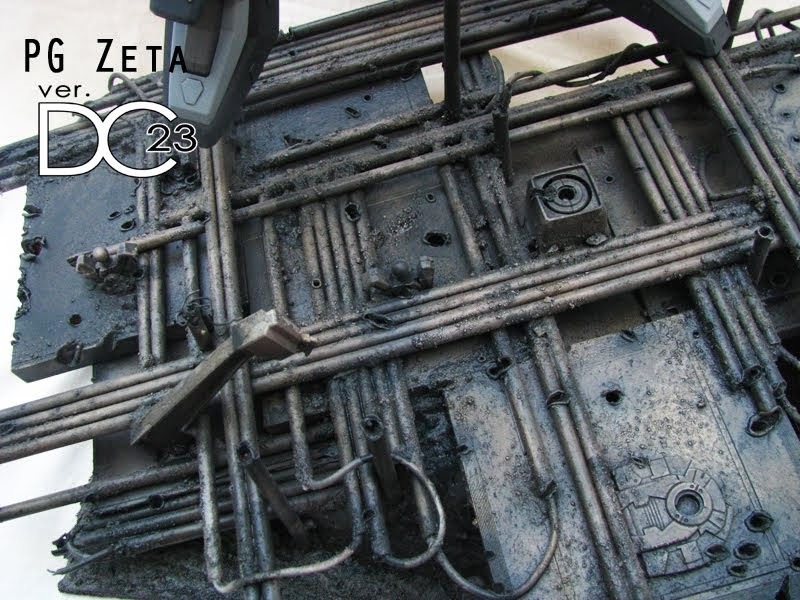 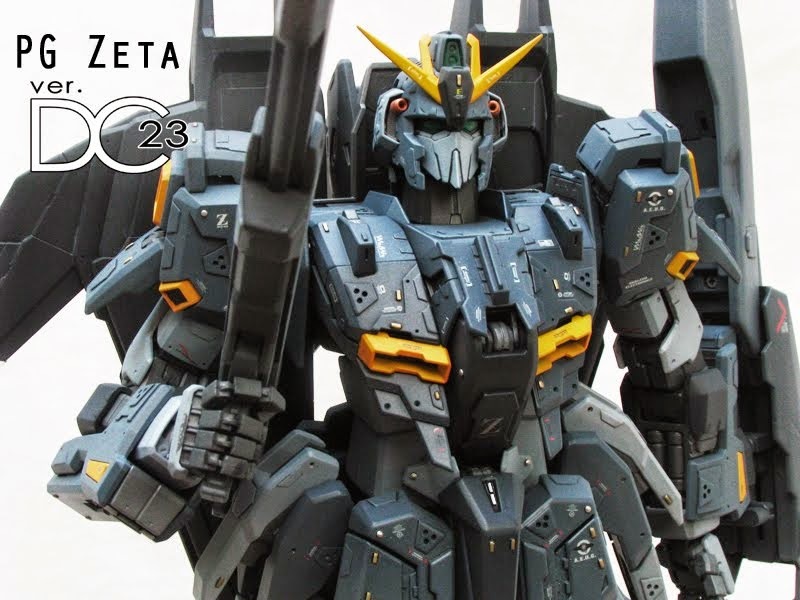 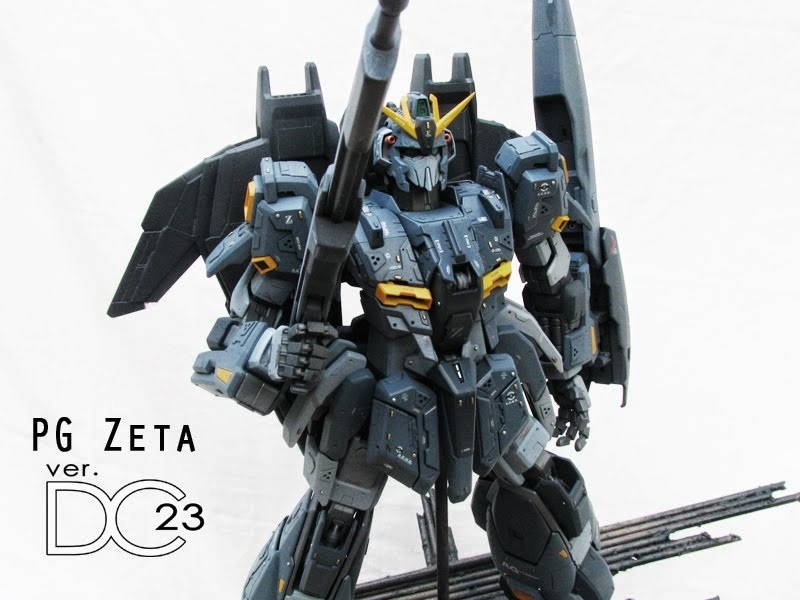 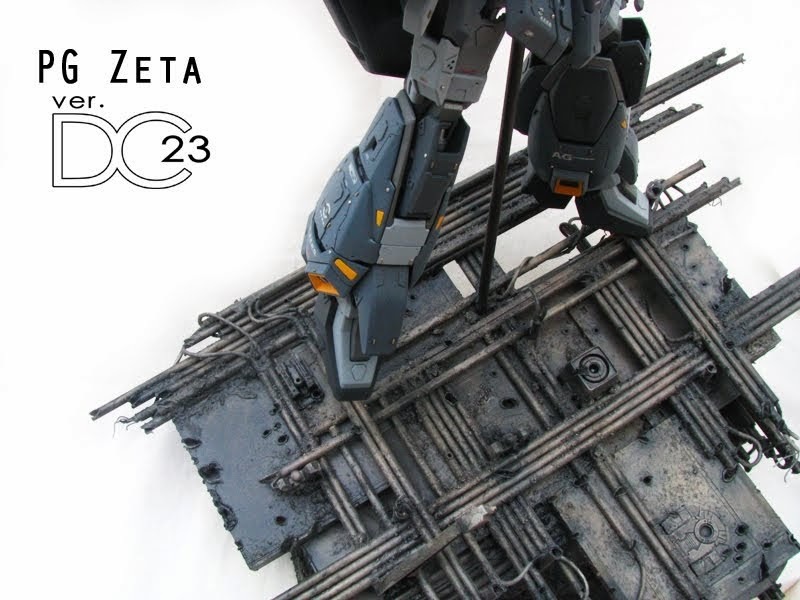 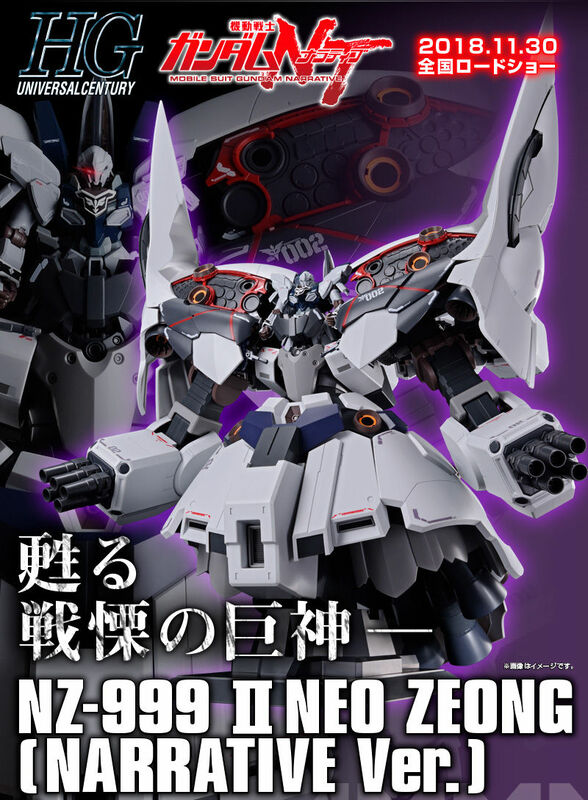 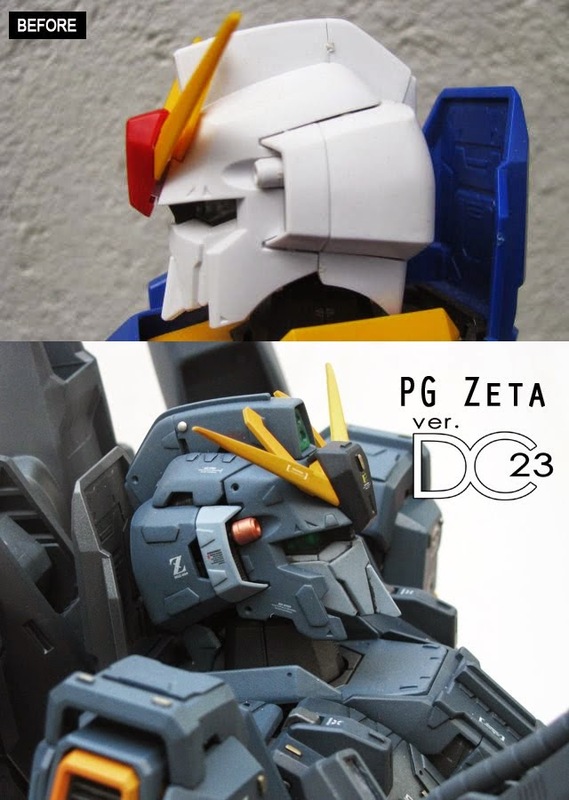 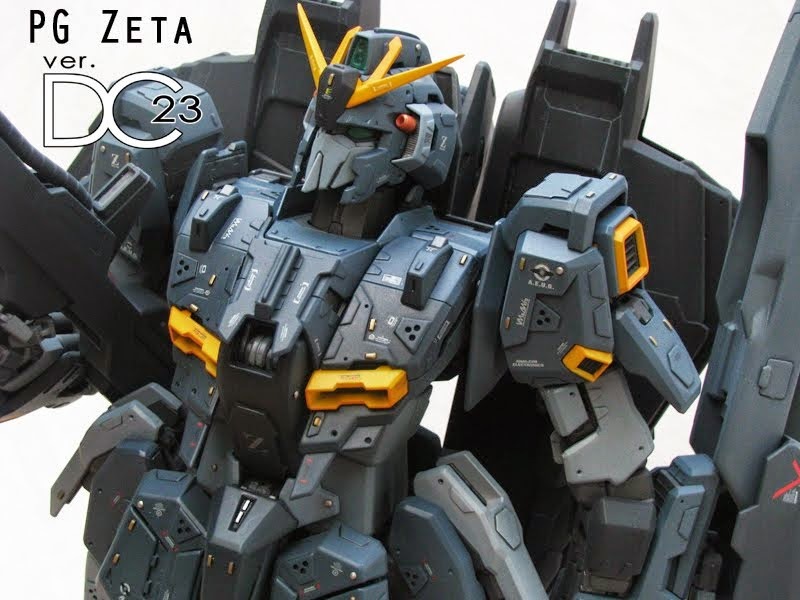 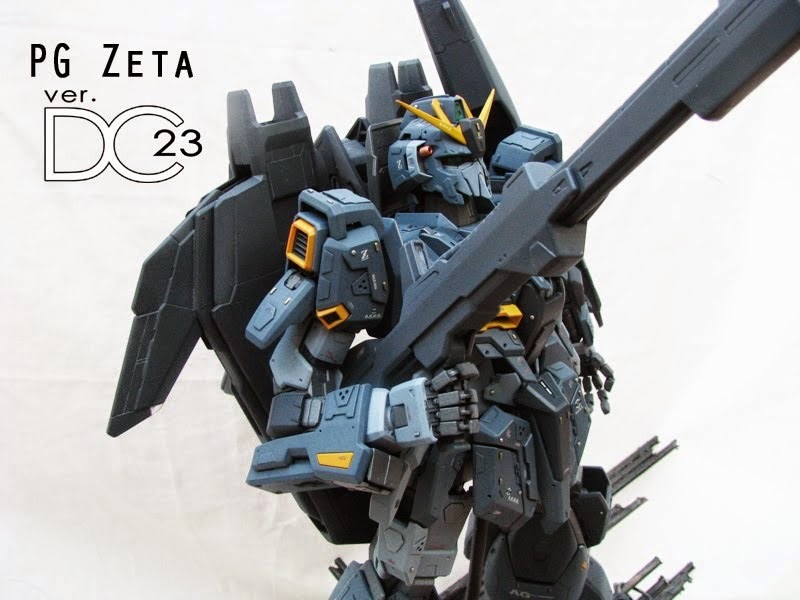 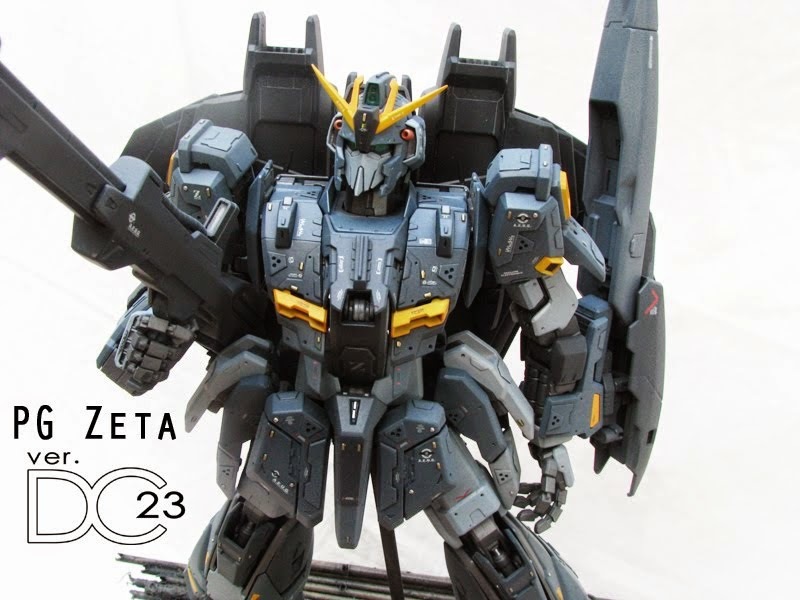 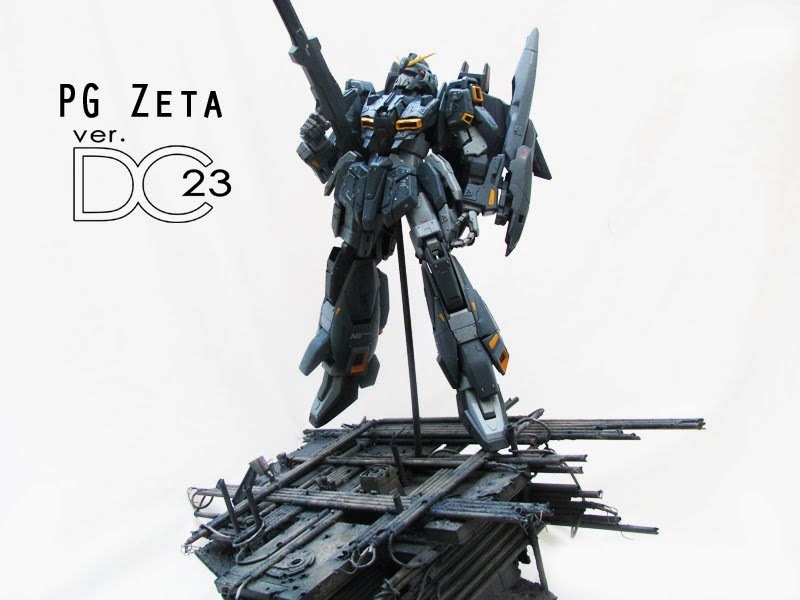 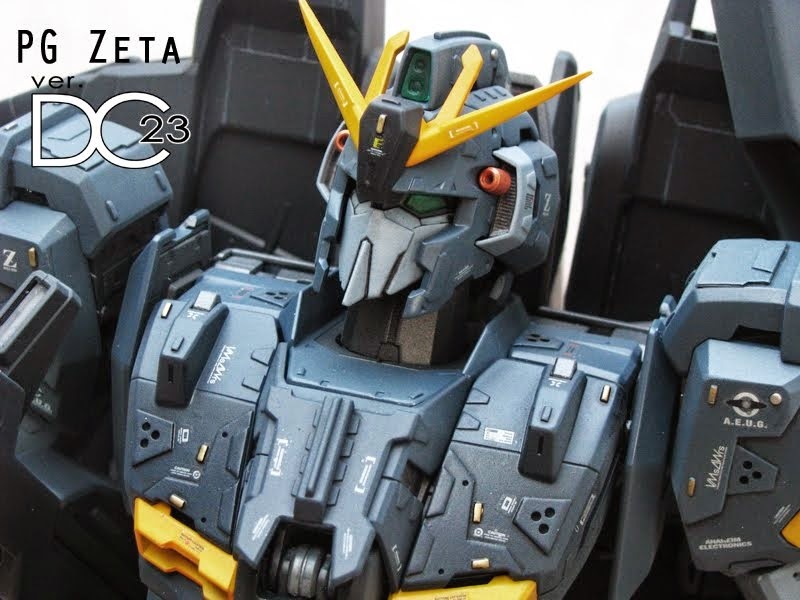 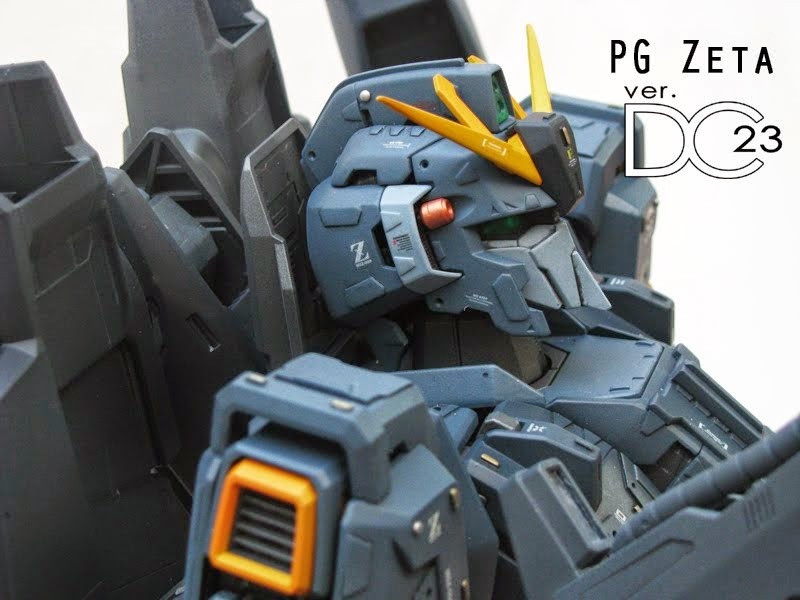 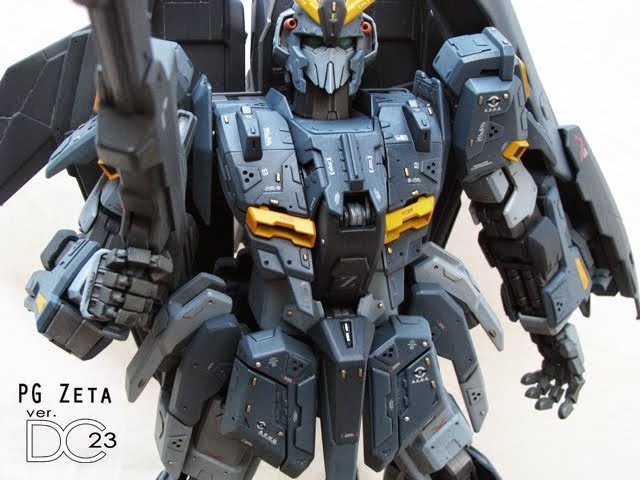 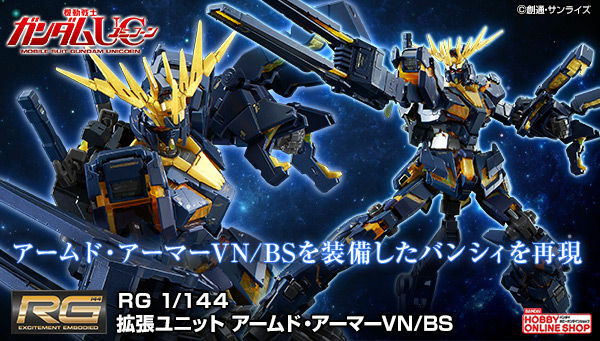 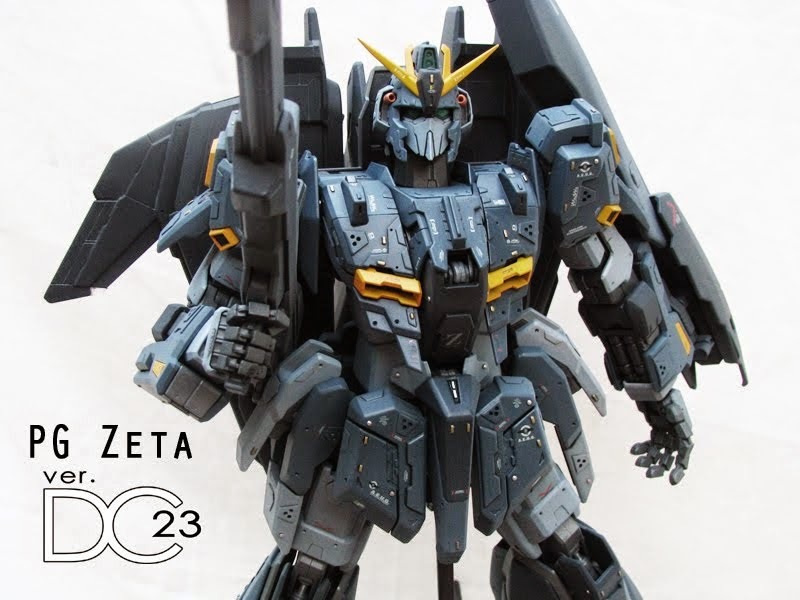 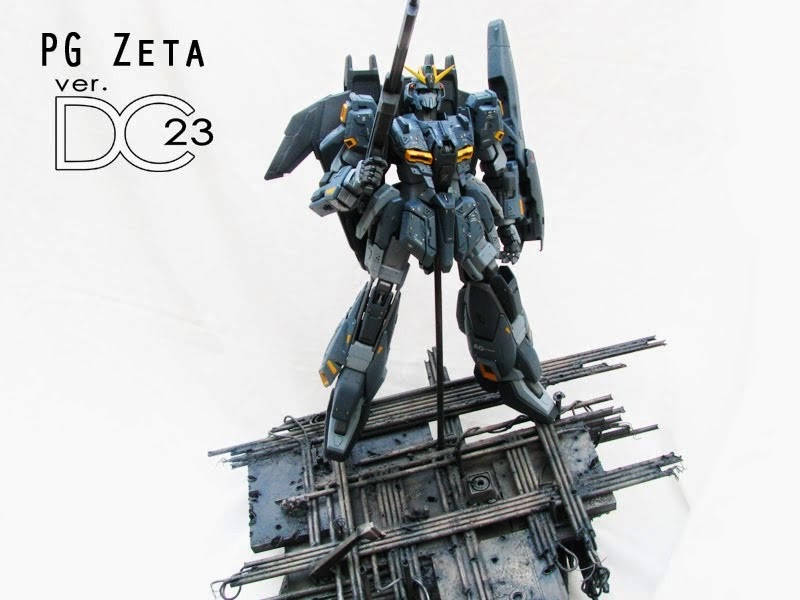 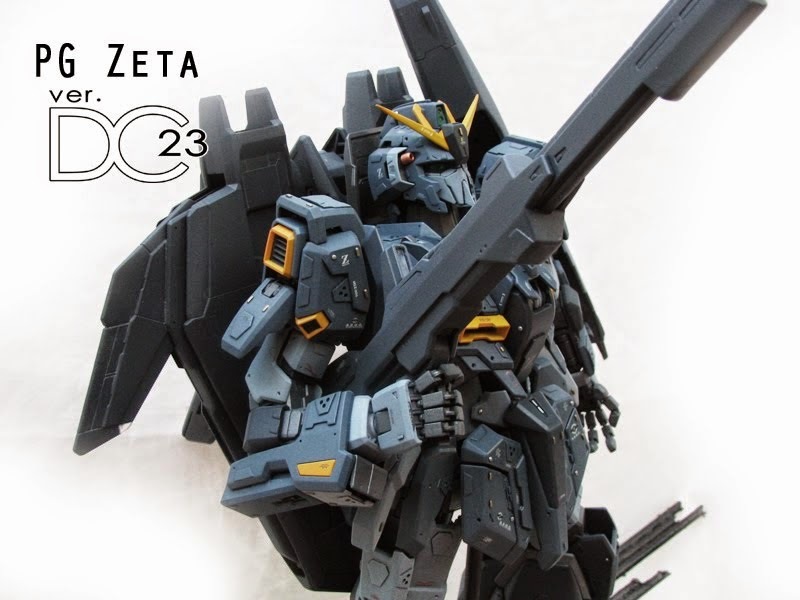 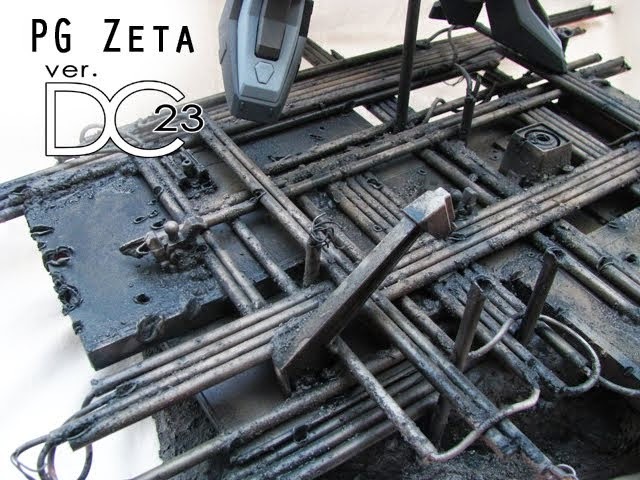 The client wanted a black predominantly dark colored Zeta initially, but I kinda hesitated on painting this with dark grays and blacks, mainly because really dark colors will tend to hide all the detailing I usually put on my kits. 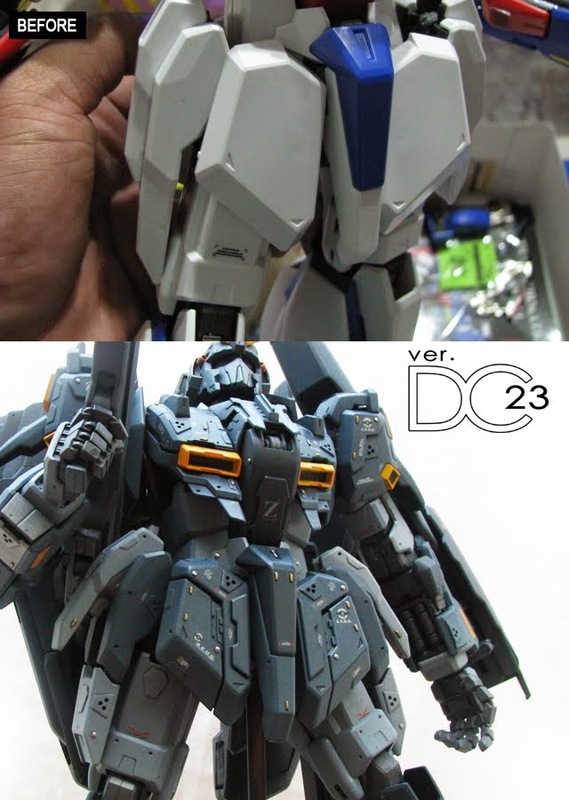 So, at the last minute I decided to add clear blue and light blue to my gray mixtures, thus ending up with a bluish gray color scheme instead. 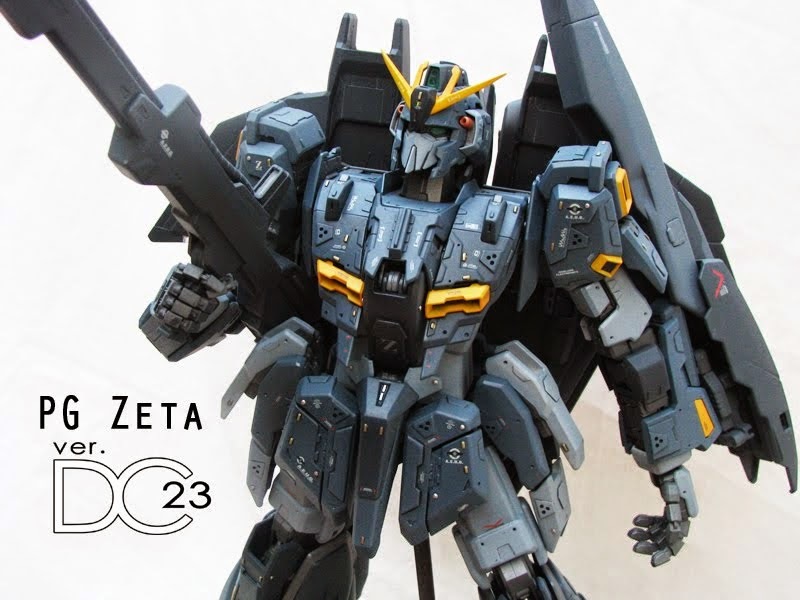 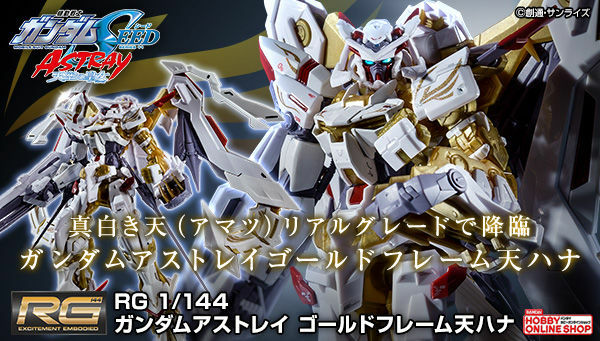 I must say the color scheme turned out great, specially after giving it a flat coat. 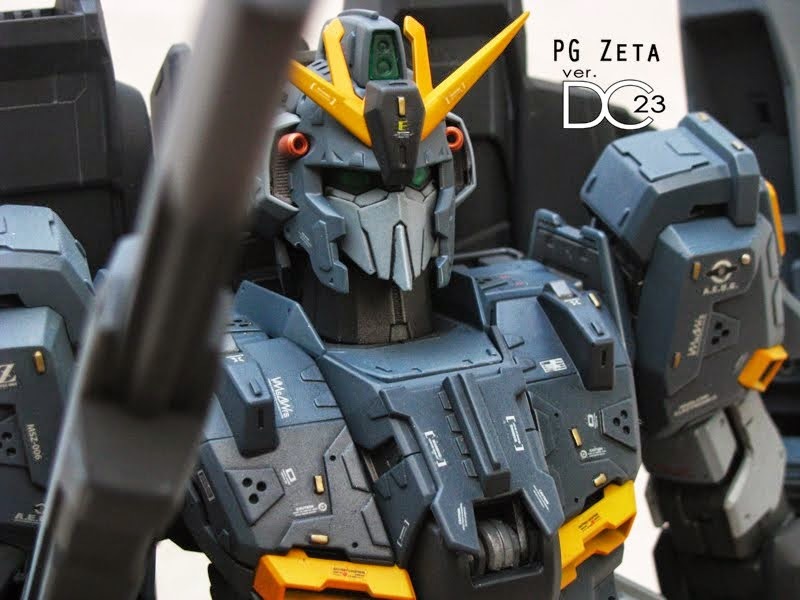 the overall look is dark and menacing but the color did not hide my detailing that much. 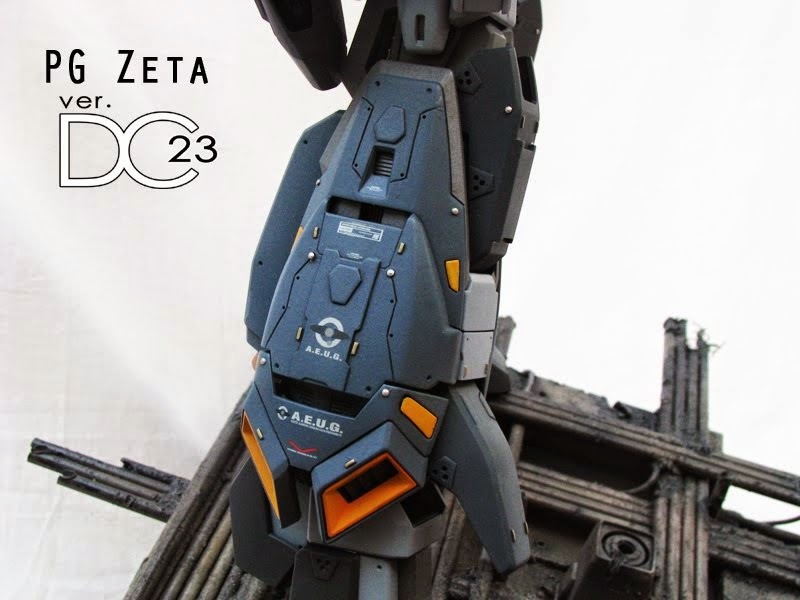 I also hand painted the small details with gold, thus giving it a more detailed look.